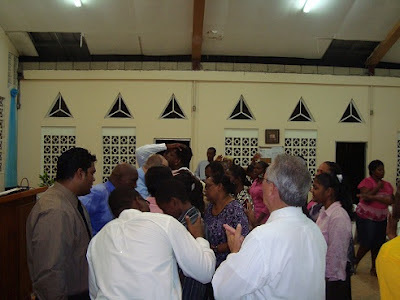 During special services over 20 received the Holy Ghost in Trinidad and Tobago. Recently special services were held in the town of Scarborough, Tobago. We are believing to have a church their soon! Keep praying with us for this area. 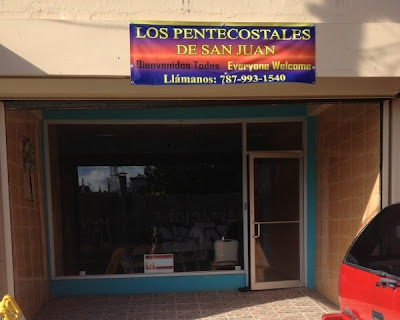 After looking for many months, we now have a good location for the church we are planting in the San Juan area of Puerto Rico. We thank the Ironwood United Pentecostal Church for helping us out with the finances for this rental property. There are nearly 2 million people in the San Juan metro area. Please pray for us as we reach out to this needy area. We are so thankful for your faithfulness in praying for us as well as your monthly support. There is in urgency in our spirit to win the lost in these islands. May Jesus bless you for your kindness to let us be ambassadors of truth .